Many countries have guidelines that recommend safety practices for infant sleep. However, it is not known whether guidelines between countries are similar or different. The purpose of this paper is to compare national public health infant sleep safety guidelines among highly developed countries. Criteria for inclusion were: countries defined by United Nations as “very high human development,” guideline related to infant sleep position and safety practices, evidence of it being a national guideline, and published in English. Guidelines from nine countries met inclusion criteria, and data were extracted across 13 categories. All guidelines recommended the supine sleep position and avoidance of smoke exposure. While most guidelines addressed the remaining 11 categories, specific recommendations varied among guidelines. These findings can inform the broad context of SIDS reduction work, offer opportunities for collaboration among countries, and promote multi-country and global conversations about how research evidence is translated into recommendations for practice. This work was not supported with funding. National Institute of Child Health and Human Development. (2015). Safe to sleep® public education campaign. Retrieved June 25, 2018, from http://www.nichd.nih.gov/sts/. United Nations Development Programme. (2016). Human Development Report 2016. Retrieved June 25, 2018, from http://hdr.undp.org/sites/default/files/2016_human_development_report.pdf. International Society for the Study and Prevention of Perinatal and Infant Death. (2018). National Recommendations for SIDS Prevention. Retrieved June 25, 2018, from https://www.ispid.org/infantdeath/id-prevention/id-leaflets/. National Institute for Health and Care Excellence. (2018). Postnatal care up to 8 weeks after birth. Retrieved June 25, 2018, from http://nice.org.uk/guidance/cg37. Raising Children Network (Australia). (2018). Safe sleeping: 11 tips. Retrieved June 25, 2018, from http://raisingchildren.net.au/articles/safe_sleeping.html/context/1924. Public Health Agency of Canada. (2014). Joint statement on safe sleep: Preventing sudden infant deaths in Canada. Retrieved June 25, 2018, from http://www.phac-aspc.gc.ca/hp-ps/dca-dea/stages-etapes/childhood-enfance_0-2/sids/pdf/jsss-ecss2011-eng.pdf. The Danish National Board of HealthNational Centre for Health Promotion and Disease Prevention. (2010). Preventing cot death: For parents. Retrieved June 25, 2018, from https://www.sst.dk/en/publications/2010/preventing-cot-death. Italian Association Seeds for SIDS. (2009). It’s better for them. Retrieved June 25, 2018, from http://www.salute.gov.it/imgs/C_17_opuscoliPoster_125_allegato.pdf. Family Health Service, Department of Health. (2017). Protect baby from sudden infant death syndrome (SIDS). Retrieved June 25, 2018, from http://www.fhs.gov.hk/english/health_info/child/14799.html. Ministry of Health – Manatū Hauora. (2018). Keeping baby safe in bed: The first 6 weeks. Retrieved June 25, 2018, from https://www.health.govt.nz/your-health/pregnancy-and-kids/first-year/first-6-weeks/keeping-baby-safe-bed-first-6-weeks. National Paediatric Mortality Register. (2017). Safe sleep for your baby: Reduce the risk of cot death. 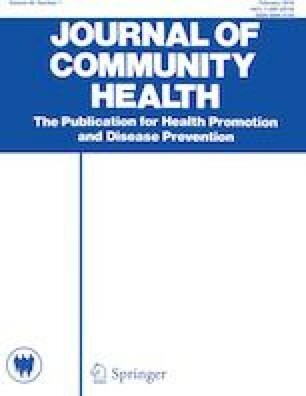 Retrieved June 25, 2018, from https://www.healthpromotion.ie/hp-files/docs/HPM00078.pdf. U.S. Department of Health and Human Services, Office of Disease Prevention and Health Promotion. (2010). National action plan to improve health literacy. Retrieved from https://health.gov/communication/initiatives/health-literacy-action-plan.asp.